Thanks to all of you who participated in our Community Services Master Plan interactive workshop on October 10. We will be in touch with all of you again when we have finished up the final draft for Board review. Our hope is to have an approved document early next year. I would also like to thank all of you who have been participating in our online surveys CBIV Community Engagement that are facilitated via opentownhall.com – which is an added new feature of our opengov.com finance portal. Nearly 600 of you participated in our most recent survey regarding our beaches. We had similar participation levels in earlier surveys this year, one regarding public works customer satisfaction and another regarding preferred methods for communicating with the public. If you would like to participate in future surveys, just send your email address to our Communications Coordinator, Misty Moga (mab@ivgid.org) and she will make sure you are on the list! We’ve gained a lot of valuable information from these surveys and we will conduct them on a regular basis throughout the year. For example, 43 percent of you still get information about IVGID from this newspaper. On the other hand, nearly 60 percent of respondents access our website, read our Quarterly and open our emails to get information about us. We also learned that more of you would like information about the beaches, which is one of the reasons the recent beach survey included a lot of supplemental information. Speaking of the beaches, we learned that nearly half the respondents went to the beach more than once a week, with Incline Beach the most frequent destination. We also learned that over half of the respondents used the preferred parking this summer and only 14 percent weren’t aware of the preferred parking program. For those of you not aware, beach parking was restricted to pass holders and punch card holders only at peak times this past summer. We were very pleased to see that around 90 percent of beach goers rated our customer service great or excellent. We also received over 140 suggestions for how we can make the beach experience better in the future. Staff carefully reads each comment and many of the suggestions will be implemented next year. The preferred parking was program was developed based on feedback we’d received in previous surveys. Very shortly, you will be receiving an invitation to participate in a more comprehensive survey we send out to all of our stakeholders every other year. In 2016, over 800 of you responded to this 20-minute survey which included a comprehensive list of questions regarding all our amenities, services and communication methods. Overall, the survey indicated a high level of satisfaction with IVGID amenities. Only about 14 percent of those surveyed had a negative view. The Golf Courses, Diamond Peak, and the Recreation Center had the highest ratings. Our water quality was also rated very highly with over 90 percent of respondents rating it as very good or excellent. We also learned a little bit about how owners use their properties. For example, we learned that 18 percent of our owners who only live here part time have ten or more friends and family using their property during the year. In addition, the typical part time owner spends about 90 days per year in their property, with about 40 percent of those days in the summer. The survey also included over 840 comments, with about 80 percent of the comments complementary. As noted above, we used the comments section to either validate or adjust our services at many of our amenities. So please be sure to participate in the Community Survey. You input is appreciated and we are always striving to provide better customer service. And watch this space, and all of our other communication channels, for more updates on the Community Services Master Plan. Additionally, our October Quarterly is fresh off the press and copies will be mailed to parcel owners and available around town. This special issue features a monthly calendar with many of our programs listed to help you plan your social calendar in advance. While we hopefully have provided lots of means for you to communicate, you are always welcome to drop me a note at sjp@ivgid.org. 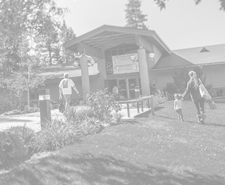 For more information about the Community Services Master Plan Draft Document and the process, please visit our website: https://www.yourtahoeplace.com/ivgid/resources/community-services-master-plan. We are still accepting feedback, so email us your thoughts at: CSMP@ivgid.org. We value your input, and look forward to engaging with you in the future.